American Pastor Andrew Brunson, who's been held in a Turkish prison since October 2016 after he was falsely accused by the government of having links with a terror group, has shared some of his biggest fears in a letter as he marks his 50th birthday as a hostage in prison. "I am deeply grateful to all who have prayed for me. This trial — time in prison — has stretched me far more than I ever would have imagined. I have been very weak, had many doubts, felt very alone. I know that God's grace is sustaining me, even when I do not feel that grace, and I know that the prayers of God's people are surrounding me and giving strength," begins Brunson's letter, shared by his wife in a Middle East Concern article on Tuesday. The pastor, who formally led Izmir Resurrection Church and served the Turkish people for years before his sudden arrest, added: "One of my big fears has been that I will be forgotten in prison." "Thank you for not forgetting! It is a great encouragement to know there are people praying for me — it reminds me that I am not alone, and that I need to stand firm, with my face pointed in God's direction always. Thank you for standing with me in this most difficult time," he wrote. Watchdog groups, such as the American Center for Law and Justice, have insisted that Brunson is innocent of the terror charges and that he is being used by Turkish authorities as a political pawn. In September, Turkish President Tayyip Erdogan suggested that a deal can be made to release Brunson if the U.S. hands over Fethullah Gulen, a Muslim cleric living in Pennsylvania who Erdogan accused of staging the attempted coup against his government in July 2016. Back in October, two commissioners appointed to the U.S. Commission on International Religious Freedom traveled to Turkey to meet with the pastor. 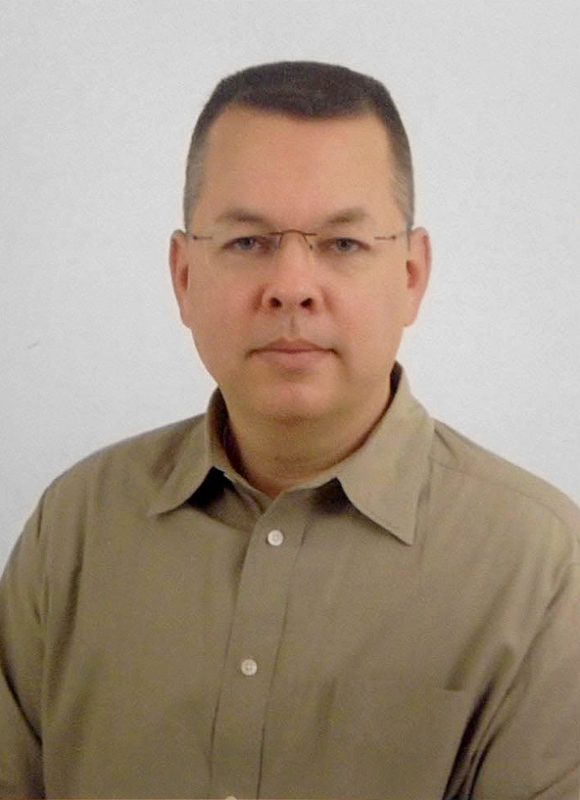 USCIRF Vice Chairwomen Sandra Jolley and Kristina Arriaga visited Brunson at the Kiriklar Prison in Izmir, urging the Turkish government to release him without delay. "He lives in a world of psychic and physical dislocation," Jolley said in a statement. "Despite a public veneer of a legal process, the truth is Pastor Brunson has had no due process, no true information about the charges against him, unreliable court dates, and no idea when he ever again will see his children or his country." The ACLJ noted that Brunson marked his 50th birthday on Wednesday, being forced to spend another year separated from his wife and family, who are living in America. "Pastor Andrew remains in great danger. He should be spending this day celebrating with loved ones; instead he finds himself languishing in a Turkish prison trapped in a political nightmare," the law group urged. "He's been forced to endure unimaginable loneliness, missing birthdays, holidays, and even his daughter's wedding day. It's time for him to come home." An ACLJ petition in support of Brunson has been signed close to 400,000 times.